Grocery stores and supermarkets exist to help feed us, and we all know that the more we eat, the more money the supermarket makes. But these stores don’t influence what we eat, do they? 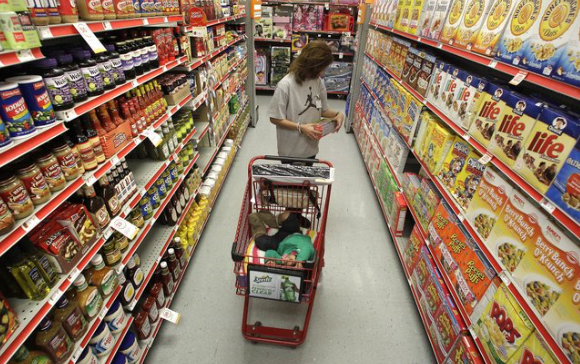 In reality, yes, supermarket shelves influence consumer behavior. Here’s one example: kids’ cereals are placed on lower shelves. Why? Because that’s the eye-level of children. Traditionally, the outside aisles of the grocery store is considered prime real estate and is usually the location of fresh produce, dairy, and meat products. Now, cake and candy products want to be there, too. Stores also shift bags of candy and chocolate to the front-of-store displays in order to tempt shoppers. And, don’t forget about the buy-one-get-one-free bins that are often found in high-traffic areas. Stand-alone displays are also big at driving sales volume. These displays are usually funded by suppliers and are very effective at increasing purchases. The estimate for getting a new frozen item into a national chain is roughly $100,000 for a slotting fee. Think you’re too smart to be fooled by these tactics? Look in your cart at the end of the shopping trip and see what jumped in there! Discuss the importance of a grocery store layout. If you have time for a field trip (or make it an assignment), have students go to local supermarkets and map out the aisles and products. Compare layouts from different stores. What are the challenges faced by new products entering supermarkets? How can these be addressed?